EasySlots brings you a five reel online slot game which is guaranteed to provide lots of entertainment with its unique theming and bonus features. 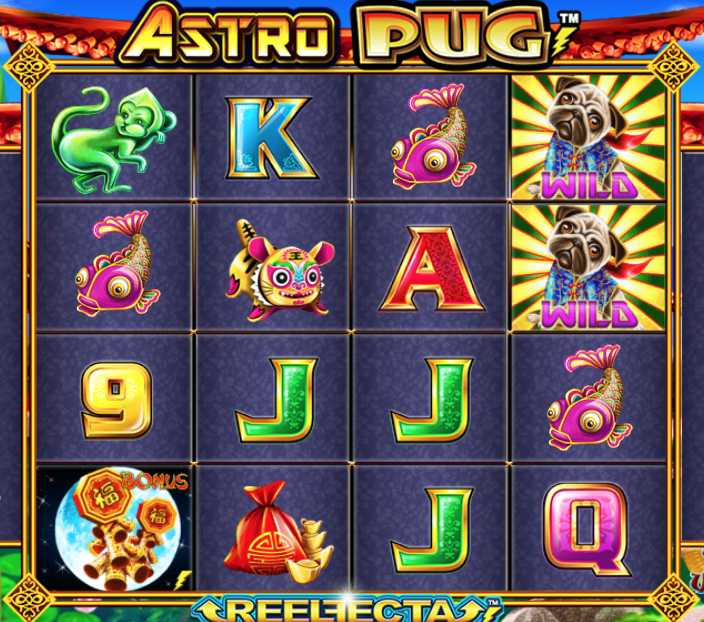 The theme celebrates an adaptation to a classic Chinese themed slot game but has its own stance through an injection of pugs. This game suits a wide spectrum of online gamers because stakes can be set anywhere between fifty pence and two hundred and fifty pounds per spin, making it appealing to the masses. There is also an impressive 1,926 ways to win in this exciting slot game. The wild multiplier symbols have the ability to increase the return on your original stake. This can come in the form of doubling, trebling or quadrupling pay-outs! Netent are based in Sweden and were founded in 1996, since then they have proved themselves as producers of high quality, online casino developers. They are known for being amongst the first to produce software that uses HTML5. The company is currently developing on their mobile gaming works. The theming here is different to many online slot machines because it contrasts old and new which gives an entertaining and inviting surprise to keep players engaged. 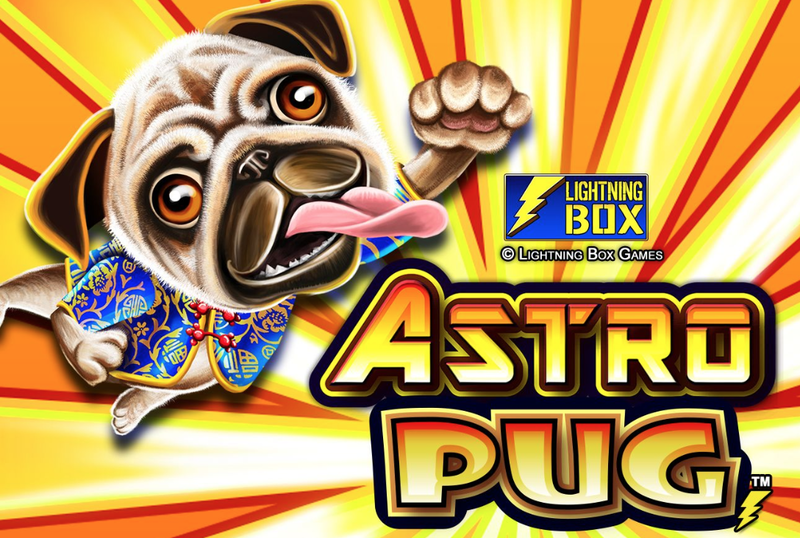 The reels in Astro Pug are set out in a traditional style, Asian building. The symbols comprise a money pouch and modern sketches of Chinese animals (the graphics are strong so this is quite effective). The symbol you want to see appearing on the reels is the person dressed up in authentic, Chinese attire because they will reward you 2.5 times your stake if 5 pop up on adjacent reels. You will see the cheeky little pug symbol appear on the middle three reels and this acts as the standard wile which can increase chances of winning through multiplying across the reels. The Bone Multiplier feature will double, treble or quadrouple a payout! This will depend on how many bones are on display, so look out for the sticky wild here. 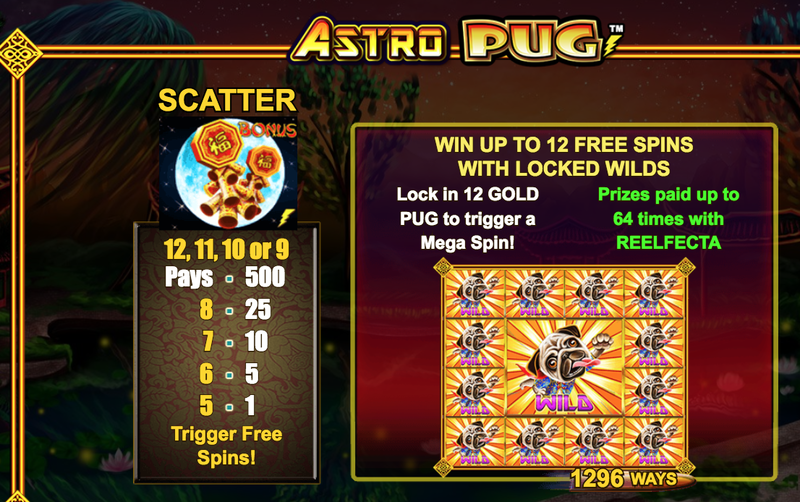 Free spins are triggered by gaining 5 or more of the scatter symbol on the outer ring of the Reelfacta – this will then award between 3 and 12 free spins, depending on how many of the scatter symbol appear. Notice the Reelfacta which will trigger wilds or a bomb drop down with each free spin – the free spins will keep getting generated until the bomb lands! Filling all 12 of the outer spaces in the Reelfacta will trigger the Mega Spin feature. This allows both the 12 outer symbols and the 4 middle positions to act as wild symbols. Discover more slots bonuses like this!